BELGRADE, Mont., Oct. 31, 2016 (GLOBE NEWSWIRE) — Xtant Medical Holdings, Inc. (NYSE MKT:XTNT), a leader in the development, manufacturing and marketing of orthopedic products for domestic and international markets, announced today that it has commenced the subscription period for its previously announced rights offering of up to 15,000,000 units, each consisting of one share of common stock and one warrant to purchase one share of common stock. The rights offering will remain open until 5:00 PM Eastern Time on Monday, November 14, 2016, unless extended. Holders of rights will need to exercise their subscription rights prior to that date and time. If exercising subscription rights through a broker, dealer, bank or other nominee, rights holders should promptly contact their nominee and submit subscription documents and payment for the units subscribed for in accordance with the instructions and within the time period provided by such nominee. The broker, dealer, bank or other nominee may establish a deadline before November 14, 2016 by which instructions to exercise subscription rights, along with the required subscription payment, must be received. Under the proposed rights offering, the Company has distributed two non-transferable subscription rights for each share of common stock held, or underlying convertible notes held, on the record date. Each subscription right entitles the holder to purchase one unit at the subscription price of $0.90 per unit. Each unit consists of one share of common stock and one warrant, with each warrant exercisable to purchase one share of common stock at an exercise price of $1.08 for five years from the date of issuance. After the one-year anniversary of issuance, the Company may redeem the warrants for $0.01 per warrant if the volume weighted average price of the Company’s common stock is greater than $2.70 for each of 10 consecutive trading days. Holders who exercise their subscription rights in full will be entitled, if available, to subscribe for additional units that are not purchased by other shareholders or convertible note holders, on a pro rata basis and subject to ownership limitations. The Company’s registration statement on Form S-1 was declared effective by the U.S. Securities and Exchange Commission (SEC) on October 31, 2016. The prospectus relating to and describing the terms of the rights offering has been filed with the SEC as a part of the registration statement and is available on the SEC’s web site at http://www.sec.gov. 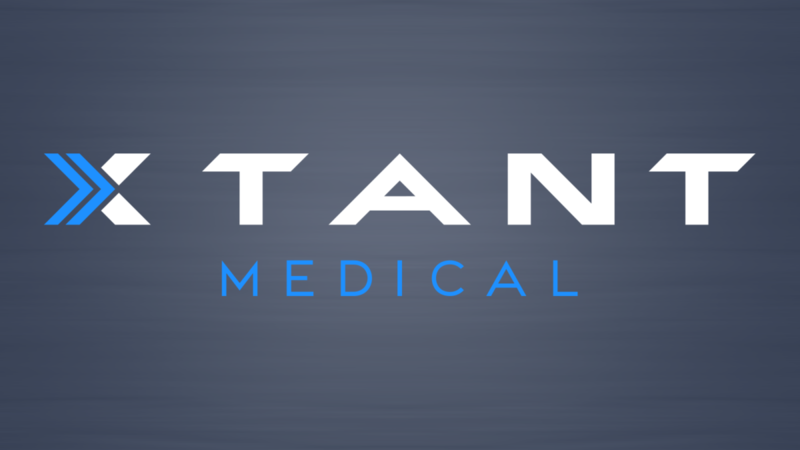 Xtant Medical Holdings, Inc. (NYSE MKT:XTNT) develops, manufactures and markets class-leading regenerative medicine products and medical devices for domestic and international markets. Xtant products serve the specialized needs of orthopedic and neurological surgeons, including orthobiologics for the promotion of bone healing, implants and instrumentation for the treatment of spinal disease, tissue grafts for the treatment of orthopedic disorders, and biologics to promote healing following cranial, and foot and ankle surgeries. With core competencies in both biologic and non-biologic surgical technologies, Xtant can leverage its resources to successfully compete in global neurological and orthopedic surgery markets. For further information, please visit www.xtantmedical.com. This press release contains certain disclosures that may be deemed forward-looking statements within the meaning of the Private Securities Litigation Reform Act of 1995 that are subject to significant risks and uncertainties. Forward-looking statements include statements that are predictive in nature, that depend upon or refer to future events or conditions, or that include words such as “continue,” “efforts,” “expects,” “anticipates,” “intends,” “plans,” “believes,” “estimates,” “projects,” “forecasts,” “strategy,” “will,” “goal,” “target,” “prospects,” “potential,” “optimistic,” “confident,” “likely,” “probable” or similar expressions or the negative thereof. Statements of historical fact also may be deemed to be forward-looking statements. We caution that these statements by their nature involve risks and uncertainties, and actual results may differ materially depending on a variety of important factors, including, among others: our ability to integrate the acquisition of X-spine Systems, Inc. and any other business combinations or acquisitions successfully; our ability to remain listed on the NYSE MKT; our ability to obtain financing on reasonable terms; our ability to increase revenue; our ability to comply with the covenants in our credit facility; our ability to maintain sufficient liquidity to fund our operations; the ability of our sales force to achieve expected results; our ability to remain competitive; government regulations; our ability to innovate and develop new products; our ability to obtain donor cadavers for our products; our ability to engage and retain qualified technical personnel and members of our management team; the availability of our facilities; government and third-party coverage and reimbursement for our products; our ability to obtain regulatory approvals; our ability to successfully integrate recent and future business combinations or acquisitions; our ability to use our net operating loss carry-forwards to offset future taxable income; our ability to deduct all or a portion of the interest payments on the notes for U.S. federal income tax purposes; our ability to service our debt; product liability claims and other litigation to which we may be subjected; product recalls and defects; timing and results of clinical studies; our ability to obtain and protect our intellectual property and proprietary rights; infringement and ownership of intellectual property; our ability to remain accredited with the American Association of Tissue Banks; influence by our management; our ability to pay dividends; our ability to issue preferred stock; and other factors. Additional risk factors are listed in the Company’s Annual Report on Form 10-K and Quarterly Reports on Form 10-Q under the heading “Risk Factors.” You should carefully consider the trends, risks and uncertainties described in this document, the Form 10-K and other reports filed with or furnished to the SEC before making any investment decision with respect to our securities. If any of these trends, risks or uncertainties actually occurs or continues, our business, financial condition or operating results could be materially adversely affected, the trading prices of our securities could decline, and you could lose all or part of your investment. The Company undertakes no obligation to release publicly any revisions to any forward-looking statements to reflect events or circumstances after the date hereof or to reflect the occurrence of unanticipated events, except as required by law. All forward-looking statements attributable to us or persons acting on our behalf are expressly qualified in their entirety by this cautionary statement. Despite this year’s acquisition spree, Stryker Corporation will remain financially disciplined in executing M&A deals, company executives tol­­d analysts during its third quarter earnings call recently. Stryker reported $3 billion in cash and marketable securities for the quarter ending Sept. 30, 2016. Around 80 percent of that amount currently is held outside the United States. Stryker said it would like to repatriate that cash at some point, but to what purpose is still unclear. “You know, we’ve said before about what our priorities are around capital allocation and that would mean M&A, that would mean dividends, and it may mean share buybacks. But commenting beyond that — I don’t think I can do that at this point of time,” Stryker CEO Kevin Lobo told analysts, according to a Seeking Alpha transcript. Since February, Stryker has closed a string of notable deals: hospital supplies provider Sage Products ($2.78 billion), emergency medical services (EMS) equipment manufacturer Physio-Control ($1.3 billion), Synergetics’ neurology portfolio (undisclosed amount), orthopedic oncology firm Stanmore Implants ($52 million), meniscal repair company Ivy Sports Medicine (undisclosed amount), and endoscopic instrumentation maker Instratek (undisclosed amount). Stryker executives said during the call that these acquisitions were designed to strengthen the company’s core businesses. They also touted the smooth integration of the Sage and Physio-Control portfolios and sales teams with Stryker’s, which indicates that their M&A strategy is indeed sound. WARSAW, IND., Oct. 31, 2016 (GLOBE NEWSWIRE) — Nextremity Solutions, Inc., a musculoskeletal product development company located in “The Orthopedic Capital of the World” Warsaw, IN, recently finalized an exclusive global distribution agreement with Zimmer Biomet for its first four commercialized products, which address unmet clinical needs in forefoot elective surgery. Mazor Robotics (NSDQ:MZOR) unveiled its next-generation robot-assisted surgery system and Globus Medical (NYSE:GMED) for the 1st time showcased the functional prototype of its Excelsius platform at the NASS 2016 meeting in Boston last week, signifying an increased interest in robotic surgeons among major players. Mazor developed 3 generations of products over 15 years and does 95% of its business in spine surgery, according to Barclays. The Caesarea, Israel-based company’s next-gen Mazor X system, presented at this year’s North American Spine Society meeting, helps surgeons develop a pre-operative plan, make automated calculations, and provide intraoperative guidance to ensure that the plan is followed for each patient. It can also measure the length of time for each case, demographics and other important variables to improve case management. “The Mazor X system is aimed at addressing unmet needs for a number of stakeholders including hospital management, vendors, patients, payors, and surgeons,” Barclays analysts wrote. The list price of the robot surgeon is $900,000 and Mazor is also listing a brain model at $199k. Mazor’s agreement with Medtronic (NYSE:MDT) calls for it to receive $1,500 for the disposable and a midpoint $1,000 synergy fee if Medtronic implants are used. Mazor is selling the system and gets the full price, but a 20% commission goes to Medtronic during phase 1 of the agreement. In phase 2, there’s a distributor agreement, so the sale to Medtronic is at 40% to 45% less than list price. Globus unveiled its investigational robotics system, Excelsius, telling Leerink Partners that it anticipates approval and launch in early- to mid-2017, with revenue unlikely until the 2nd half of next year. DePuy Synthes, part of the Johnson & Johnson Family of Companies, today announced the availability of Expert Tibial Nail PROtect, the only tibial nail with a resorbable antibiotic coating designed to provide additional protection from bacterial colonization for patients who are at high risk of infection. Infection following fracture fixation is recognised as an increasingly important clinical problem, and can result in prolonged treatment, impaired fracture healing and in some cases, for example people with diabetes, may result in limb amputation. Designed in collaboration with leading AO surgeons, Expert Tibial Nail PROtect addresses a growing clinical demand to reduce the incidence of implant related infections. Infection can occur in up to 14.4% of all open tibia fractures treated with intramedullary nailing (without an antibacterial coating). Open tibial shaft fractures are often associated with a high incidence of complications, due to the precarious blood supply to the tibia, the high risk of infection and the necessity of rapid surgical intervention. “Expert Tibial Nail PROtect provides me with an additional tool to help reduce infection rates and benefit my patients’ outcomes,” concluded Prof. Dr. med. Gerhard Schmidmaier, Head of Trauma Department, Heidelberg University Hospital, Germany. Adding locally administered antibiotics to general prophylactic antibiotics has been shown to reduce the infection rate for patients with severe fractures from 14.4% to 2.4%. Expert Tibial Nail PROtect offers a treatment option developed to deliver targeted protection and prevent a bacterial biofilm forming on the implant thus decreasing the risk of infection. The Expert Tibial Nail’s use in tibia fracture repair, demonstrates improved patient outcomes, which is why it was selected for application of the PROtect antibiotic coating. The design of Expert Tibial Nail itself has been shown to reduce operating time, hospital stay, full weight bearing time and union time. Clinical experience has provided evidence to support the benefits of using Expert Tibial Nail PROtect. It demonstrates the performance and safety of the PROtect coating with intramedullary nails. Studies have reported no deep infections, and treatment costs for patients with an infection following a tibia fracture were shown to be up to 3.5 times higher compared to those for patients with no infection. These are attributed to the additional surgery required to manage the infection (e.g. implant removal, bone grafting, amputation) and the prolonged hospital stay as well as readmissions and treatment in the intensive care unit for patients with an infection. VANCOUVER, BC–(Marketwired – October 25, 2016) – According to a new series of reports on the U.S. market for surgical navigation and robotics systems by iData Research (www.idataresearch.com), the market is driven by replacement sales to new facilities. The continuous improvement in navigation software as well as hardware will entice facilities to continually upgrade their systems to the most current versions. Also, the entrance of new companies who are looking to provide navigation systems at a more budget-friendly price will expand the market to smaller facilities who, in the past, could not afford the top-of-the-line systems. The overall market for image guided surgery (IGS) systems reflects the overlap between different market segments. For example, revenues stemming from neurosurgery and spinal navigation systems are often associated with a single system that has both applications. In addition, both the ENT and orthopedic navigation markets include systems with applications in spinal and neurosurgical navigation, respectively. The largest segment in the U.S. surgical navigation market is represented by navigation systems with spinal applications, accounting for nearly 40% of the total market. Many of the systems sold are able to perform multiple applications; in particular, most neurosurgical and spinal navigation are performed by the same systems. The neurosurgery navigation system market is the most mature. The use of IGS for neurosurgical procedures has become the standard of care. Also, IGS systems with neurosurgical capabilities command the highest ASP. The growth of the neurosurgery navigation system market is supplemented by upgrades from facilities that already have such systems as well as sales to new facilities, although the latter makes up a smaller portion of the total revenue. 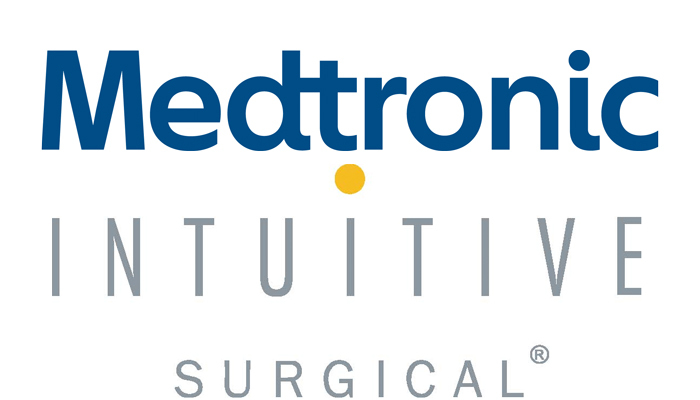 Medtronic leads the surgical navigation systems market in the United States. 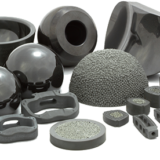 The company has established itself through brand recognition and by making systems compatible with their implant products. Medtronic is expected to remain a strong competitor in the market. Intuitive Surgical leads the surgical robotics market in the United States. It remains the dominant competitor in the U.S. and promotes robotics applications in surgery. However, other companies are expanding robotic options in orthopedic and other procedural areas. Other leading competitors in surgical navigation include Brainlab and Stryker, which also hold significant market shares in the United States, in addition to a number of other companies with smaller installed bases. In the surgical robotics systems market companies such as Medtech, Mazor Robotics, and Stryker’s Mako system are strong contenders. More on the surgical navigation and robotics systems market in the U.S. can be found in a series of reports published by iData Research entitled the U.S. Market Report Suite for Surgical Navigation and Robotic Systems. The suite covers reports on the following markets: surgical navigation systems for neurosurgery, spinal surgery, ENT (ear/nose/throat), and orthopedic hip and knee applications. The segmentation for surgical robotics systems includes spinal, neurosurgery, minimally invasive surgery (MIS), radiosurgery, catheter and orthopedic robotically assisted systems. The iData report series on robotics and surgical navigation covers the U.S., Japan, China, India, Australia, and 15 countries in Europe including Germany, France, the United Kingdom (U.K.), Italy, Spain, Benelux (Belgium, Netherlands and Luxemburg), Scandinavia (Finland, Denmark, Sweden and Norway), Portugal, Austria and Switzerland. Reports provide a comprehensive analysis including units sold, procedure numbers, market value, forecasts, as well as detailed competitive market shares and analysis of major players’ success strategies in each market and segment. To find out more about robotics and surgical navigation market data or procedure data, register online or email us at info@idataresearch.net for a U.S. Market Report Suite for Surgical Navigation and Robotic Systems brochure and synopsis. iData Research (www.idataresearch.com) is an international market research and consulting group focused on providing market intelligence for medical device and pharmaceutical companies. iData covers research in: Operating Room Equipment, Surgical Microscopes, Robotics and Surgical Navigation, Laparoscopy, Urology, Gynecology, Vascular Access, Endoscopy, Interventional Cardiology, Cardiac Surgery, Cardiac Rhythm Management, Electrophysiology, Ultrasound, X-Ray Imaging, Diagnostic Imaging, Oncology, Spinal Implants and VCF, Spinal MIS, Orthopedic Soft Tissue Repair and Regeneration, Orthopedic Trauma, Large & Small Joints, Anesthesiology, Wound Management, Orthopedics, Ophthalmics, Dental Operatory Equipment and more. 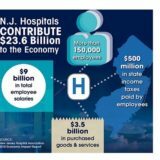 FARMINGDALE, N.Y., Oct. 31, 2016 /PRNewswire/ — Misonix, Inc. (NASDAQ: MSON), an international surgical device company that designs, manufactures and markets innovative therapeutic ultrasonic products for spine surgery, neurosurgery, wound debridement, skull based surgery, laparoscopic surgery and other surgical applications, recently participated in the North American Spine Society (NASS) 2016 Annual Meeting in Boston, MA from October 26-29. NASS is a global multidisciplinary medical society that utilizes education, research and advocacy to foster the highest quality, ethical, and evidence-based spine care. The NASS 2016 Annual Meeting represented the largest spine meeting and exhibit in the world. It was attended by thousands of spine surgeons gathered to discuss new innovative options, trends, and outcomes in spine surgery. While at the Misonix exhibit meeting attendees engaged with leading surgeons, including Dr. Nicholas Renaldo, Medical Director of Spine Surgery at Vassar Brothers Medical Center, Poughkeepsie NY; Dr. Eric Woodard, Chief of the Section of Neurosurgery, New England Baptist Hospital, Boston MA; and Dr. Connor Telles from Sierra Pacific Orthopedics in Fresno, CA, to learn about their surgical experiences with the BoneScalpel. Misonix also hosted – by invitation only – several leading surgeons in the “Innovation Room” where the invited surgeons met with members of the Misonix engineering group to learn more about future innovations under development. Gaining feedback directly from the surgeons at the event is a critical step in assuring that the next generation technologies under development reflect end-user recommendations. In addition to the Company’s booth presence, Misonix hosted a BoneScalpel hands-on cadaveric workshop entitled, Ultrasonic BoneScalpel Techniques in Complex Spine facilitated by Isador Lieberman, MD, Director of the Scoliosis and Spine Tumor Center at the Texas Back Institute in Plano, TX. Dr. Lieberman demonstrated his clinical usage of the BoneScalpel with attendees having the opportunity for trialing the BoneScalpel ultrasonic bone-cutting instrument. More than 35 spine surgeons were trained on the use of BoneScalpel at the lab. Commenting further on the week’s events was Dr. Juan Uribe, University of South Florida, Tampa, FL, who presented his experience with the BoneScalpel at Friday’s NASS Solutions Showcase. “The advantages of less blood loss, precise cuts, savings in operating room time, and less hand fatigue are among the many reasons that BoneScalpel is now a requirement for a high percentage of the cases I currently perform. In fact, BoneScalpel has changed the way I practice spine surgery,” added Dr. Uribe. Misonix, Inc. designs, develops, manufactures and markets therapeutic ultrasonic medical devices. Misonix’s therapeutic ultrasonic platform is the basis for several innovative medical technologies. 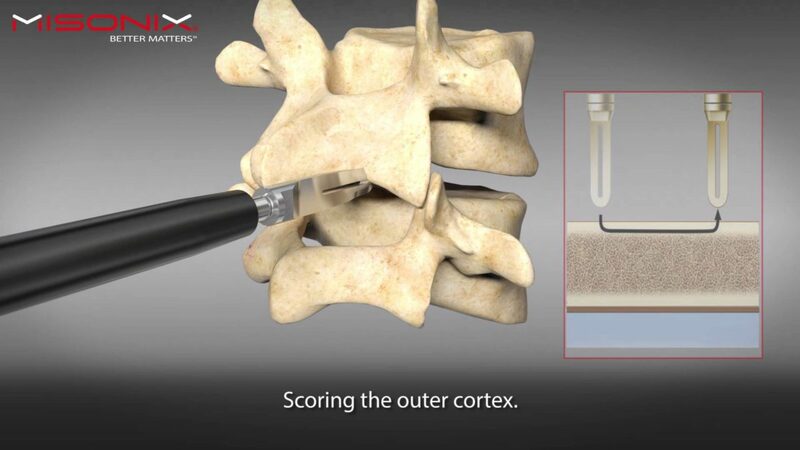 Addressing a combined market estimated to be in excess of $1.5 billion annually; Misonix’s proprietary ultrasonic medical devices are used in spine surgery, neurosurgery, orthopedic surgery, wound debridement, cosmetic surgery, laparoscopic surgery, and other surgical and medical applications. 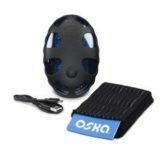 Additional information is available on the Company’s Web site at www.misonix.com. With the exception of historical information contained in this press release, content herein may contain “forward looking statements” that are made pursuant to the Safe Harbor Provisions of the Private Securities Litigation Reform Act of 1995. These statements are based on management’s current expectations and are subject to uncertainty and changes in circumstances. Investors are cautioned that forward-looking statements involve risks and uncertainties that could cause actual results to differ materially from the statements made. These factors include general economic conditions, delays and risks associated with the performance of contracts, risks associated with international sales and currency fluctuations, uncertainties as a result of research and development, acceptable results from clinical studies, including publication of results and patient/procedure data with varying levels of statistical relevancy, risks involved in introducing and marketing new products, potential acquisitions, consumer and industry acceptance, litigation and/or court proceedings, including the timing and monetary requirements of such activities, the timing of finding strategic partners and implementing such relationships, regulatory risks including approval of pending and/or contemplated 510(k) filings, the ability to achieve and maintain profitability in the Company’s business lines, and other factors discussed in the Company’s Annual Report on Form 10-K, subsequent Quarterly Reports on Form 10-Q and Current Reports on Form 8-K. The Company disclaims any obligation to update its forward-looking relationships. WARSAW, Ind., Oct. 31, 2016 /PRNewswire/ — Zimmer Biomet Holdings, Inc. (NYSE and SIX: ZBH) today reported financial results for the quarter ended September 30, 2016. The Company reported third quarter net sales of $1.83 billion, an increase of 4.0% compared to the third quarter of 2015. On an adjusted constant currency basis, revenue increased 3.5% over the prior year period, with the recently acquired LDR Holding Corporation contributing 190 basis points. Diluted earnings per share for the quarter were $0.78, an increase of 609.1% over the prior year period, and adjusted diluted earnings per share were $1.79, an increase of 9.1% over the prior year period. Net earnings for the third quarter were $158.8 million, an increase of 612.5% over the prior year period, and $362.4 million on an adjusted basis, an increase of 7.1% over the prior year period. Operating cash flow for the third quarter was $352.6 million. In addition, during the quarter, Zimmer Biomet announced several strategic acquisitions to broaden and complement the Company’s musculoskeletal offerings. In July, the Company completed the acquisition of a market leader in cervical disc replacement, LDR Holding Corporation. In August, Zimmer Biomet announced the acquisition of CD Diagnostics, a company focused on developing immunoassays and biomarker testing to inform musculoskeletal treatment decisions that improve patient outcomes. Earlier this month, the Company completed the acquisition of all outstanding shares of Medtech SA, developer of the ROSA® robotics platform for a range of minimally invasive brain, neurological and spinal procedures. In the quarter, the Company paid $47.9 million in dividends and declared a third quarter dividend of $0.24 per share. The Company also repaid $200 million on its outstanding term loan during the quarter, and borrowed $750 million under a new term loan to repay borrowings under its revolving credit facility. The Company updated its full-year 2016 constant currency revenue and adjusted earnings per share guidance. The Company now estimates full-year revenue to be in a range of $7.630 billion to $7.650 billion, an increase of approximately 27% on a reported basis, or 2.4% to 2.7% on an adjusted pro forma basis, in each case as compared to the prior year. The Company now expects foreign currency translation to decrease revenue for the full year by approximately 0.3%, compared to its previous estimate of 0.5%. Revenue growth, excluding the contribution from LDR Holding Corporation, on a constant currency adjusted pro forma basis, is now expected to be in a range of 1.65% to 1.90% for the full year 2016. Previously, the Company estimated full-year revenue growth to be in a range of 2.5% to 3.0% on a similar basis. Additionally, the Company now expects its full-year 2016 diluted earnings per share to be in a range of $1.50 to $1.60, and $7.90 to $7.95 on an adjusted basis. Previously, the Company estimated diluted earnings per share to be in a range of $1.50 to $1.75 on a reported basis, and $7.90 to $8.00 on an adjusted basis. The Company will conduct its third quarter 2016 investor conference call today, October 31, 2016, at 8:00 a.m. Eastern Time. The live audio webcast can be accessed via Zimmer Biomet’s Investor Relations website at http://investor.zimmerbiomet.com. It will be archived for replay following the conference call. Individuals in the U.S. and Canada who wish to dial into the conference call may do so by dialing (888) 312-9837 and entering conference ID 8873986. For a complete listing of international toll-free and local numbers, please visit http://investor.zimmerbiomet.com. A digital recording will be available 24 hours after the completion of the conference call, from November 1, 2016 to November 30, 2016. To access the recording, U.S. callers should dial (888) 203-1112 and international callers should dial +1 (719) 457-0820, and enter the Access Code ID 8873986. The following sales tables provide results by geography and product category, as well as the percentage change compared to the prior year period on a reported basis, and for the quarterly period, on an adjusted constant currency basis. We routinely post important information for investors on our website, www.zimmerbiomet.com, in the “Investor Relations” section. We use this website as a means of disclosing material, non-public information and for complying with our disclosure obligations under Regulation FD. Accordingly, investors should monitor the Investor Relations section of our website, in addition to following our press releases, SEC filings, public conference calls, presentations and webcasts. The information contained on, or that may be accessed through, our website is not incorporated by reference into, and is not a part of, this document. This press release includes non-GAAP financial measures that differ from financial measures calculated in accordance with U.S. generally accepted accounting principles (“GAAP”). These non-GAAP financial measures may not be comparable to similar measures reported by other companies and should be considered in addition to, and not as a substitute for, or superior to, other measures prepared in accordance with GAAP. Net earnings and diluted earnings per share for the three-month period ended September 30, 2016 and projected diluted earnings per share for the full-year 2016 are presented on a GAAP (reported) basis and an adjusted basis. Adjusted earnings and earnings per share measures exclude the effects of inventory step-up and other inventory and manufacturing related charges, certain claims, special items, intangible asset amortization, financing and other expenses/gains related to the Biomet merger and other acquisitions, the tax effects of these items and other certain tax adjustments. Special items include expenses resulting directly from our business combinations and/or global restructuring, quality and operational excellence initiatives, including employee termination benefits, certain contract terminations, consulting and professional fees, dedicated project personnel, asset impairment or loss on disposal charges and other items. Other certain tax adjustments primarily include internal restructuring transactions that provide the Company access to offshore funds in a tax efficient manner and adjustments to deferred tax liabilities recognized as part of acquisition-related accounting. Sales growth information for the three and nine month periods ended September 30, 2016 is presented on a GAAP (reported) basis and, for the three-month period, on an adjusted constant currency basis. Adjusted growth rates reflect the impact of the previously announced divesture remedies. Constant currency growth rates exclude the effects of foreign currency exchange rates. They are calculated by translating current and prior-period sales at the same predetermined exchange rate. The translated results are then used to determine year-over-year percentage increases or decreases. Projected revenue growth information for the full-year 2016 is presented on a GAAP (reported) basis, an adjusted pro forma basis, an adjusted pro forma constant currency basis and an adjusted pro forma constant currency basis excluding the contribution from LDR Holding Corporation. Pro forma revenue growth refers to a comparison against revenue for the prior year that has been adjusted to reflect the inclusion of Biomet revenue on a GAAP basis. Adjusted pro forma revenue growth refers to a comparison against pro forma revenue for the prior year adjusted to reflect the impact of the previously announced divestiture remedies. Adjusted pro forma constant currency revenue growth excludes the effects of changes in foreign currency exchange rates in both years. We use these non-GAAP financial measures internally to evaluate the performance of the business and believe they are useful measures that provide meaningful supplemental information to investors to consider when evaluating the performance of the Company. We believe these measures offer the ability to make period-to-period comparisons that are not impacted by certain items that can cause dramatic changes in reported operating results, to perform trend analysis, to better identify operating trends that may otherwise be masked or distorted by these types of items and to provide additional transparency of certain items. In addition, certain of these non-GAAP financial measures are used as performance metrics in our incentive compensation programs. Reconciliations of these non-GAAP financial measures to the most directly comparable GAAP measures are included in this press release. This communication contains forward-looking statements within the meaning of the safe harbor provisions of the Private Securities Litigation Reform Act of 1995. Forward-looking statements may be identified by the use of forward-looking terms such as “may,” “will,” “expects,” “believes,” “anticipates,” “plans,” “estimates,” “projects,” “assumes,” “guides,” “targets,” “forecasts,” “sees” and “seeks” or the negative of such terms or other variations on such terms or comparable terminology. All statements other than statements of historical or current fact are, or may be deemed to be, forward-looking statements. Such statements are based upon the current beliefs and expectations of management and are subject to significant risks and uncertainties that could cause actual outcomes and results to differ materially. These risks and uncertainties include, but are not limited to: the possibility that the anticipated synergies and other benefits from mergers and acquisitions will not be realized, or will not be realized within the expected time periods; the risks and uncertainties related to our ability to successfully integrate the operations, products, employees and distributors of acquired companies; the effect of the potential disruption of management’s attention from ongoing business operations due to integration matters related to mergers and acquisitions; the effect of mergers and acquisitions on our relationships with customers, vendors and lenders and on our operating results and businesses generally; Biomet’s compliance with its Deferred Prosecution Agreement, as extended; the outcome of government investigations; price and product competition; the success of our quality and operational excellence initiatives; changes in customer demand for our products and services caused by demographic changes or other factors; the impact of healthcare reform measures; reductions in reimbursement levels by third-party payors and cost containment efforts of healthcare purchasing organizations; dependence on new product development, technological advances and innovation; shifts in the product category or regional sales mix of our products and services; supply and prices of raw materials and products; control of costs and expenses; the ability to obtain and maintain adequate intellectual property protection; the ability to form and implement alliances; challenges relating to changes in and compliance with governmental laws and regulations, including regulations of the U.S. Food and Drug Administration (the “FDA”) and foreign government regulators, such as more stringent requirements for regulatory clearance of products; the ability to remediate matters identified in any inspectional observations or warning letters issued by the FDA, while continuing to satisfy the demand for our products; changes in tax obligations arising from tax reform measures or examinations by tax authorities; product liability and intellectual property litigation losses; the ability to retain the independent agents and distributors who market our products; dependence on a limited number of suppliers for key raw materials and outsourced activities; changes in general industry and market conditions, including domestic and international growth rates and general domestic and international economic conditions, including interest rate and currency exchange rate fluctuations; and the impact of the ongoing economic uncertainty affecting countries in the Euro zone on the ability to collect accounts receivable in affected countries. For a further list and description of such risks and uncertainties, see our reports filed with the U.S. Securities and Exchange Commission. Copies of these filings, as well as subsequent filings, are available online at www.sec.gov, www.zimmerbiomet.com or on request from us. We disclaim any intention or obligation to update or revise any forward-looking statements, whether as a result of new information, future events or otherwise, except as may be set forth in our periodic reports. Readers of this communication are cautioned not to place undue reliance on these forward-looking statements, since, while management believes the assumptions on which the forward-looking statements are based are reasonable, there can be no assurance that these forward-looking statements will prove to be accurate. This cautionary statement is applicable to all forward-looking statements contained in this communication. rates where the items were incurred. Company access to offshore funds in a tax efficient manner. in the period of change. rates where the items were or are projected to be incurred. 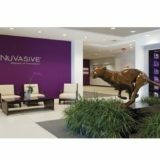 BEDFORD, Mass.–(BUSINESS WIRE)–Anika Therapeutics, Inc. (NASDAQ: ANIK), a global, integrated orthopedic medicines company specializing in therapeutics based on its proprietary hyaluronic acid (“HA”) technology, today reported financial results for the third quarter ended September 30, 2016, along with business progress in the period. Total revenue for the third quarter of 2016 increased 9% to $25.8 million, compared to $23.7 million for the third quarter of 2015. Worldwide Orthobiologics revenue grew 10% year-over-year in the third quarter of 2016. MONOVISC revenue increased 33% year-over-year in the third quarter of 2016, and it was the Company’s main revenue growth driver during the period. International Orthobiologics revenue grew 27% year-over-year in the first nine months of 2016 as a result of the Company’s global commercial expansion efforts. Domestically, we believe ORTHOVISC maintained its position as the leading multiple-injection product while MONOVISC continued to hold the number two position in the single-injection segment. Total operating expenses for the third quarter of 2016 were $12.1 million, compared to $10.5 million for the third quarter of 2015, commensurate with the Company’s growth in revenue, increased commercial efforts, and active pipeline. Net income for the third quarter of 2016 increased $0.6 million to $9.0 million, or $0.59 per diluted share, compared to $8.4 million, or $0.55 per diluted share, for the third quarter of 2015. Meeting with the U.S. Food and Drug Administration (FDA) in late September about the New Drug Application (NDA) for CINGAL, during which the Company and FDA aligned on one additional Phase III clinical trial to supplement the strong stable of existing pivotal data. Advancing its product pipeline with continued progress on enrolling patients in the FastTRACK Phase III HYALOFAST Study for cartilage repair, as well as the Phase III MONOVISC study for the treatment of osteoarthritis pain in the hip. Showcasing data from four recent studies evaluating the clinical utility of our HA-based bioscaffold, HYALOFAST, at the 13th World Congress of the International Cartilage Repair Society (ICRS). Completing the Company’s $25 million accelerated share repurchase program, with a total of 531,067 shares repurchased by Anika. Progressing with the consolidation of the Company’s global manufacturing operations at Anika’s Bedford, Mass. global headquarters. Anika’s management will hold a conference call and webcast to discuss its financial results and business highlights tomorrow, Thursday, October 27th at 9:00 am ET. The conference call can be accessed by dialing 1-855-468-0611 (toll-free domestic) or 1-484-756-4332 (international). A live audio webcast will be available in the “Investor Relations” section of Anika’s website, www.anikatherapeutics.com. An accompanying slide presentation may also be accessed via the Anika website. A replay of the webcast will be available on Anika’s website approximately two hours after the completion of the event. Anika Therapeutics, Inc. (NASDAQ: ANIK) is a global, integrated orthopedic medicines company based in Bedford, Massachusetts. Anika is committed to improving the lives of patients with degenerative orthopedic diseases and traumatic conditions with clinically meaningful therapies along the continuum of care, from palliative pain management to regenerative cartilage repair. The Company has over two decades of global expertise developing, manufacturing, and commercializing more than 20 products based on its proprietary hyaluronic acid (HA) technology. Anika’s orthopedic medicine portfolio includes ORTHOVISC®, MONOVISC®, and CINGAL®, which alleviate pain and restore joint function by replenishing depleted HA, and HYALOFAST®, a solid HA-based scaffold to aid cartilage repair and regeneration. 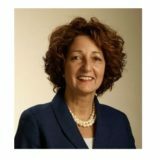 For more information about Anika, please visit www.anikatherapeutics.com. The statements made in the last sentence of the second paragraph of this press release, which are not statements of historical fact, are forward-looking statements within the meaning of Section 27A of the Securities Act of 1933, as amended, and Section 21E of the Securities Exchange Act of 1934, as amended. These statements include, but are not limited to, those relating to the Company’s future growth and creation of value, and the Company’s ability and positioning to meet its 2016 financial and operational goals. These statements are based upon the current beliefs and expectations of the Company’s management and are subject to significant risks, uncertainties, and other factors. The Company’s actual results could differ materially from any anticipated future results, performance, or achievements described in the forward-looking statements as a result of a number of factors including, but not limited to, (i) the Company’s ability to successfully commence and/or complete clinical trials of its products on a timely basis or at all; (ii) the Company’s ability to obtain pre-clinical or clinical data to support domestic and international pre-market approval applications, 510(k) applications, or new drug applications, or to timely file and receive FDA or other regulatory approvals or clearances of its products; (iii) that such approvals will not be obtained in a timely manner or without the need for additional clinical trials, other testing or regulatory submissions, as applicable; (iv) the Company’s research and product development efforts and their relative success, including whether we have any meaningful sales of any new products resulting from such efforts; (v) the cost effectiveness and efficiency of the Company’s clinical studies, manufacturing operations, and production planning; (vi) the strength of the economies in which the Company operates or will be operating, as well as the political stability of any of those geographic areas; (vii) future determinations by the Company to allocate resources to products and in directions not presently contemplated; (viii) the Company’s ability to successfully commercialize its products, in the U.S. and abroad; (ix) the Company’s ability to provide an adequate and timely supply of its products to its customers; and (x) the Company’s ability to achieve its growth targets. Additional factors and risks are described in the Company’s periodic reports filed with the Securities and Exchange Commission (SEC), and they are available on the SEC’s website at www.sec.gov. Forward-looking statements are made based on information available to the Company on the date of this press release, and the Company assumes no obligation to update the information contained in this press release. PARIS–(BUSINESS WIRE)–EOS imaging (Paris:EOSI) (Euronext, FR0011191766 – EOSI – Eligible for PEA-PME savings schemes in France), the pioneer in 2D/3D orthopaedic medical imaging, today announced its consolidated revenue for the third quarter and nine months ended September 30, 2016. EOS reported total revenue of €20.8 million for the nine months ended September 30, 2016 as compared to €14.9 million for the nine months ended September 30, 2015, an increase of 39%. The Company sold 41 EOS® systems in the first nine months of 2016, as compared to 30 systems in the same period last year. Revenues from sales of equipment totalled €16.9 million, an increase of 38%. Sales of maintenance contracts increased 56% to €3.18 million, reflecting the continued increase in the installed base of EOS systems under contract. Sales of consumables and services were €0.65 million in the first nine months of 2016, an increase of 8%. EOS reported continued sales momentum in North America in the first nine months of 2016, generating revenue of €11.6 million, an increase of 57% compared to the same period last year. Sales in North America represented 56% of total revenues for the first nine months of 2016. Sales in the EMEA region were €7.27 million, an increase of 19%, and sales in the Asia-Pacific region were €1.92 million, an increase of 31%. 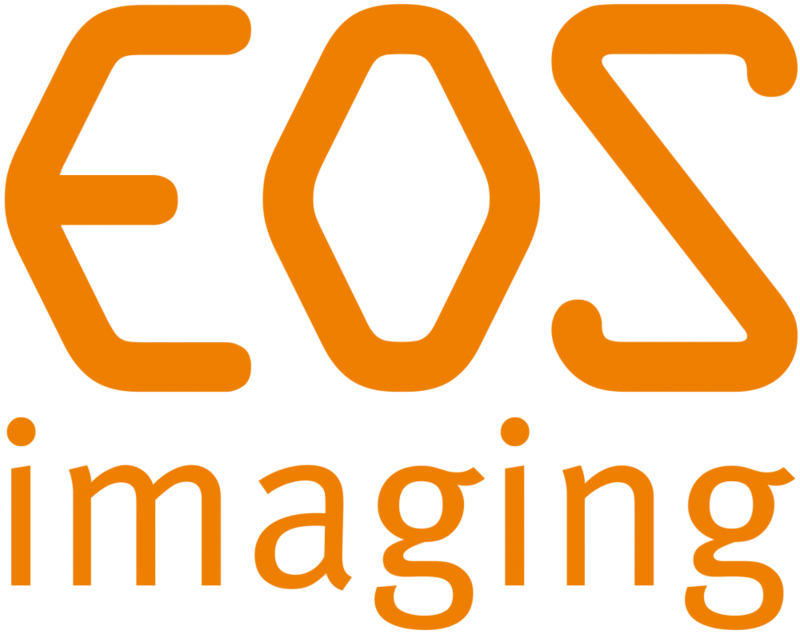 EOS imaging sold 13 EOS® systems in the first nine months of 2016 and generated revenues of €6.60 million, an increase of 40% as compared to the same period last year. EOS imaging designs, develops, and markets EOS®, an innovative medical imaging system dedicated to osteoarticular pathologies and orthopaedics, as well as associated solutions. The Company is authorized to market in 51 countries, including the United States (FDA), Japan, China and the European Union (EC). The Group posted 2015 revenues of €21.8 million and employs 122 people. The Group is based in Paris and has five subsidiaries in Besançon (France), Cambridge (Massachusetts), Montreal (Canada), Frankfurt (Germany) and Singapore. EOS imaging has been chosen to be included in the new EnterNext© PEA-PME 150 index, composed of 150 French companies and listed on Euronext and Alternext markets in Paris.